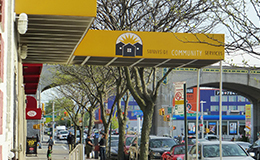 Sunnyside Community Services is a rapidly growing, multi-service settlement house just 15 minutes by subway from Grand Central. We are an Equal Opportunity Employer. We are proud to offer free training to become a Certified Home Health Aide. This comprehensive three-week program will prepare you to make a real difference in the life of the elderly or homebound.